Beatle Mania Cranking Up Again. Love them or loathe them you cannot escape the fact that the Beatles changed the musical landscape forever. 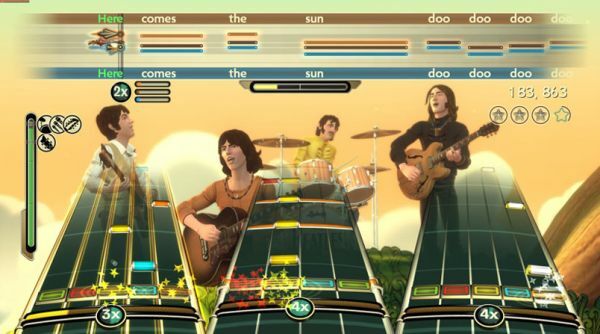 50 years on from when they formed Harmonix are trying to do the same with the Fab 4 in gaming form. Harmonix have as you would expect stuck to the tried and tested Rock Band gameplay of the previous games and also wisely steered clear of the rip off land of Rock Band ACDC Live. This is a full featured stand alone game and as a piece of fan fuelled fancy is quite difficult to criticise too much. The game graphics are a step up from previous Rock Band incarnations but are great and not truly stunning. The art style sits well with Fab 4′ s iconic clothes, album covers and the 60’s era style. A special mention though must go to the dreamscapes of the Abbey Studio chapters of the game these beautiful colourful trippy sections are a joy to behold it’s just a shame that you are to busy watching the colours on the highway to pay any real attention to them. The only new gameplay function added is the 3 part vocal harmonies which is done really well but hardly a necessary gaming addition. In fact due to licensing issues the game takes more away than it adds. Gone are the in game sound effects, drum and guitar freestyle fill’s and this is all due to the programmers not being allowed to alter the 45 licensed Beatles songs. Also gone is the ability to fail a song so no matter how bad your playing is you will complete the song. The game is jam packed with fan pleasing unlockables from unheard soundbites as you wait for the games songs to begin. Through to rare unseen photos and videos and other oddities. My particular favourite being the recording of the bands 1962 christmas message which just highlights that at the beginning these 4 were just a group of likeable humorous lads with no knowledge of the super stardom that was to follow. There are some notable absences on the track list for the game though. Most notably for me Hey Jude and All You Need Is Love (the later of which was up for purchase on Marketplace on the day of release). I am also sure any holes in the track list will be made available at an extra cost over the coming weeks though. As I said before this is such a well put together package it is hard to criticise it to much. The content here though does not lend itself to Rock Bands core party game loving fans as the songs just do not cut it in that sort of way. 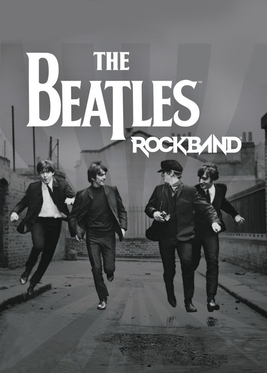 So this game is only truly essential if you are a Beatles fan (like the Mrs and daughter) if not stick to Rock Band 2.